Last week saw the British Medical Journal publish an op-ed on the American dietary guidelines written by Nina Teicholz. 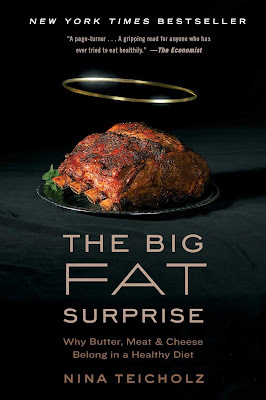 I think a fair summary of Teicholz' piece is that she believes conflicts of interest and shoddy science led the Dietary Guidelines Advisory Committee (DGAC) to get everything all wrong in recommending diets lower in saturated fats. I think it's important though to know, that Teicholz isn't just any old journalist, she's a journalist who recently authored a global, absolutely blockbusting, bestseller on diets, a fair summary of which, "Why Butter, Meat and Cheese Belong in a Healthy Diet", is included on its cover. "I have read and understood BMJ policy on declaration of interests and declare I have received modest honorariums for presenting my research findings to a variety of groups related to the medical, restaurant, financial, meat, and dairy industries. I am also a board member of a non-profit organization, the Nutrition Coalition, dedicated to ensuring that nutrition policy is based on rigorous science. This article was fully funded with a grant from the Laura and John Arnold Foundation." What wasn't as odd, or at least not as unexpected as Teicholz' original lack of disclosure, was the passionate nature of responses to her piece, and then of course the passionate and rather partisan nature of the rebuttals to the rebuttals, and rich in all of them were cries of conflict of interest. Coincidentally, on the same day that Teicholz' piece published, so too did a new saturated fats position statement from Canada's Heart and Stroke Foundation (HSF). The HSF, up until very recently, had some major food industry inclusive conflicts of interest, but over the course of the past few years the HSF has divested itself of those. 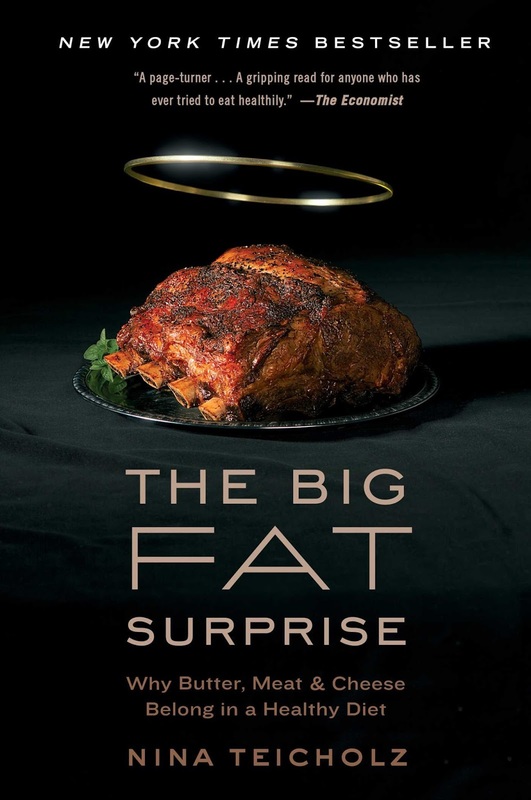 "There is emerging evidence to suggest that the health effects of saturated fats could vary depending on the food sources in which they are found." They then make a series of recommendations that eschew a threshold or limit for saturated fat and instead are reminiscent of Brazil's recently published national dietary guidelines - which can be boiled down to cooking more with fresh, whole ingredients while minimizing restaurant and ultra-processed foods. Of Teicholz' and the HSF's takes, I'm with the HSF. That's not to say that Teicholz' concerns hold no water at all, but rather that they, perhaps consequent to her own clear and significant conflicts of interest, do the very thing she rages against - draw sweeping conclusions from less than sweeping data. The HSF on the other hand, at least in my opinion, are doing their best to summarize the unfortunate truth of nutrition research - that it's nowhere near as clear cut as it's often presented, and that our best evidence to date is supportive of benefits to broad patterns of eating that unfortunately haven't yet been drilled down to best diet style specificity.